MONTRÉAL, May 26, 2017 /CNW Telbec/ - VIA Rail Canada (VIA Rail) was honoured last night by the Canadian Forces Liaison Council (CFLC). This year's Most Supportive Employer in Canada award was presented to the Crown Corporation at a gala held at the Canadian War Museum in Ottawa, which brought together some 100 representatives of the military community. It is the first-ever federal Crown Corporation and main passenger rail transport company to receive this award. "VIA Rail accepts this recognition with tremendous pride," declared Yves Desjardins-Siciliano, President and Chief Executive Officer of VIA Rail. 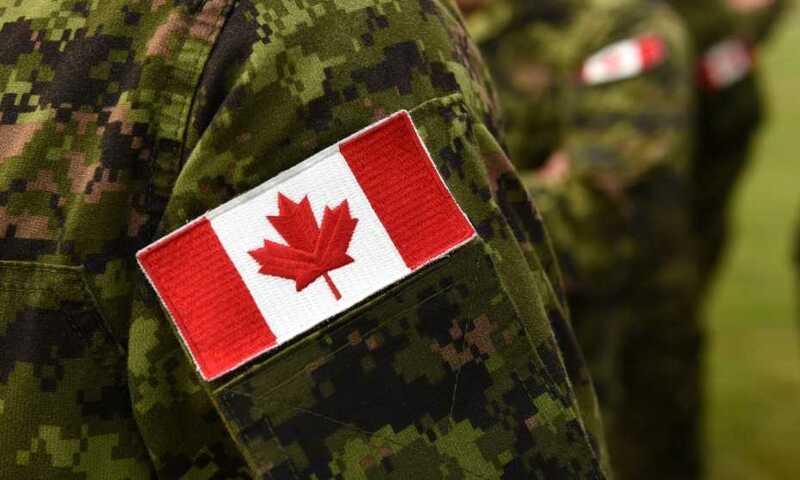 "In tribute to the dedication of Canadians who serve our country both here and abroad, we have a duty to create great opportunities for our veterans and reservists within our organizations, which will benefit greatly from their technical know-how, experience, discipline and leadership." Over the past few years, VIA Rail has increased its efforts to support Canada's Reserve Forces and to encourage more veterans to join its staff. The Crown Corporation has, among other initiatives, worked with its Reservist employees to implement a new leave policy allowing employees who are in the Reserves to continue their military training or participate in temporary missions during military operations in Canada and abroad. Maintaining a long and proud tradition of supporting members of the military and veteran communities, VIA Rail has, over the past few years, entered into various partnerships with organizations such as the Canada Company Military Employment Transition Program, as well as the Commissionaire's MISSION EMPLOI, both of which help former Canadian military members make the transition to civilian life. VIA Rail also supports the military community through partnerships with the Royal Canadian Legion's national Poppy Campaign, True Patriot Love, Wounded Warriors Canada, Canadian Forces Morale and Welfare Services, and the Canadian Army Run. VIA Rail has also partnered with the Vimy Foundation, and contributed to building a new Education Centre for First World War History and the 100th anniversary of victory at the Battle of Vimy Ridge in France, which stands near the current Canadian commemorative monument. VIA Rail also offers members of the Canadian Armed Forces, as well as veterans and their families, a 25% discount on its best fares. Since 2010, more than 180,000 members of the military community have used this offer to travel onboard VIA Rail trains. This discount will increase to 35% off the best fare in all classes of service this summer, for travel between May 1 and September 30, 2017 on regional trains and to destinations on any of the following routes: Montréal - Jonquière, Montréal - Senneterre, Sudbury - White River, Winnipeg - Churchill or Jasper - Prince-Rupert. As Canada's national rail passenger service, VIA Rail and its 2,600 employees are mandated to provide safe, efficient and economical passenger transportation service, in both official languages of our country. VIA Rail operates intercity, regional and transcontinental trains linking over 400 communities across Canada, and about 180 more communities through intermodal partnerships, and safely transports nearly four million passengers annually. The Corporation was awarded seven Safety Awards by the Railway Association of Canada over the last eight years.